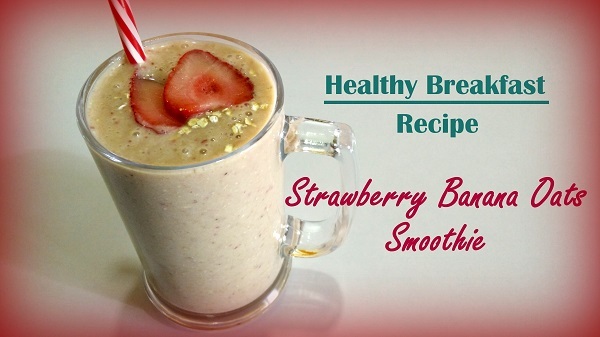 Strawberry Banana Oats Smoothie is an instant breakfast recipe. It is a Healthy and delicious recipe that gets ready in less than 5 minutes. You can use fresh Strawberry instead of frozen, make sure to add a couple of ice cubes when making with fresh strawberries. This Smoothie is perfect for healthy breakfast on-the-go.